With autumn having well and truly announced itself, its arrival has brought the appearance of wet soggy leaves, slippery pavements and muddy fields – all of which are a nightmare when it comes to the upkeep of your sparkly clean household. All sorts can get trodden into your carpets over these wintery months, as well as accidental spillages and general wear and tear; just a few ways your carpet can lose its pristine appearance. Yet this shouldn’t mean that your expensive, luxurious carpet gets ruined in the process. Simple maintenance and upkeep can ensure that your carpet remains as pristine as it deserves to be. 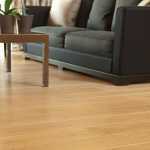 Your carpet can collect vast amounts of dust, dirt, pet hair and grime, sometimes only within a couple of hours. These can get trodden so deep into the fibres that you can’t always see it, but it doesn’t mean it’s not there. Cleaning with a vacuum on a regular basis – the more powerful the better – can help remove as much of this dirt as possible from the root to the top of your carpet fibres. If you don’t think your vacuum is working as well as it should, then try emptying the bag; the suction should increase and start collecting again. Spillages are best dealt with as soon as the incident occurs. Leaving it any length of time could result in a stain or tougher removal, as the substance will begin to dry and be absorbed by the fibres. 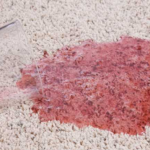 Deal with the spillage whilst it’s still wet by using a cloth to dab the liquid out from the surface, so your carpet stands a higher chance of keeping in good condition and stain-free! Try putting some preventative measures in place to avoid the dirt working its way to your carpet in the first place. Have a doormat not only outside the front door but also inside. This way, hopefully the majority of the mud, dirt, leaves or whatever has attached itself to the shoe will be removed before the person enters the house. Then the rest can be wiped off on the indoor mat. Also, get into the habit of taking your shoes off at the mat and asking your guests to as well. This way, at least the majority of the mess will be contained in one room and not trodden through your entire house. 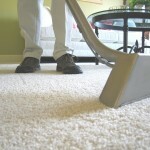 It might also be worth investing in a good carpet protector to give your carpet the most efficient protection possible. 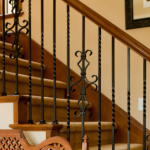 There are numerous protectants available that help resist soiling, oil and water-based stains to prolong the quality and appearance of your carpet. Heavy furniture, such as wardrobes, cabinets, TVs and beds, can all leave dents and marks in your carpet. This can be especially worse for those soft and fluffy carpets as they are left looking squashed and flat, which was probably not the look you intended when first choosing it. Making sure you move the furniture around regularly can help avoid these markings, which can sometimes become permanent and irreversible if left for years at a time. Also, try placing coasters under the legs of heavy items to distribute the weight more evenly and avoiding unwanted marks. So whether it’s for your carpet at home or in the office at work, implementing these simple steps into your routine will help your carpet maintain a good condition and bode well for a long life. To give your carpet an even better chance of lasting longer, make sure you buy from a well-established carpet company that supply only durable, good quality carpets.